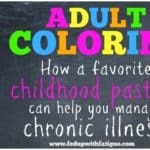 The following article, “15 helpful tips for cooking & cleaning your kitchen when you’re chronically ill,” was first published on Prohealth.com. It is being reprinted here with permission from the editor. In December, I wrote an article for Prohealth on “20 helpful tips for cleaning and organizing when you’re chronically ill.” Now I’d like to drill down a little further and focus on tips for cooking and cleaning the kitchen. If you’ve been diagnosed with fibromyalgia, ME/CFS or Lyme disease, then you’ve probably been told to eat a more whole foods-based diet. That’s great advice, but chopping and dicing all those vegetables and fruits takes energy – something a lot of us don’t have. I use slow cooker liners in my slow cooker. (These are sold at most big box stores alongside the aluminum foil and plastic wrap.) When I’m ready to clean the slow cooker, I tie a knot in the plastic liner and toss it in the garbage. Usually I just have to wipe the inside of the crock with a paper towel. I saw the following tip online a few years ago, and it’s seriously life changing: I keep a plastic pie plate cover in my microwave to cover foods we’re heating up. (Here’s an example from Amazon, but I found mine at the Dollar Tree for a buck!) Any food splatters are trapped by the cover and don’t explode all over the walls of your microwave. It’s genius! Store like items together. For example, if you drink coffee, group your coffee, filters, sugar/creamer and mugs all in one place, so that you don’t have to move from cabinet-to-cabinet to gather supplies. Even when I was healthy, cooking and cleaning was a real chore. 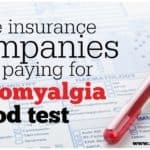 It’s even more so now that I’m living with a chronic illness. But finding ways to simplify and streamline these daily tasks make them more manageable. It just takes some forethought and planning. One thing that became “vital” for me is the table and the chair in my kitchen. I love to cook but since I can’t stand on my hurtig feet (and my back too) for more than ten minutes, I do the chopping and everything else possible while sitting at the table. It really helps me to follow my passion for cooking. So glad you found the kitchen tips post helpful! I have an in-kitchen table too, and like you, I use it all the time to sit and do tasks. Gentle hugs to you! I live in N Florida and Publix grocery stores have started something really fantastic, I think. In two serving portions, they prepare fresh meat chicken and seafood dishes in the fresh meat counter in small containers wrapped with a label of the ingredients and the cooking instructions on it. I buy a half dozen or so of these dinners (they freeze well!) then go to the produce dept and pick out several different bags (2-3 servings) of fresh veggies that go in the microwave for a few minutes to cook. Prior to dinner we pop one of these prepared meals in the oven, none of them take longer than 45 minutes total, either bake a potato or make some quick rice or couscous on the side and a few minutes before the meat is ready microwave the veggie. Good healthy food with very little cooking and almost no cleanup! I think you post a lot of good information here. I just wish you could eliminate the wordblock ads and other advertising that cover up a good bit of useful information. Thank you for letting me know. I’m trying to find out why that’s happening and how to fix it. I don’t think using a plastic pie plate is a good idea. That plastic at nuked Temps is leaching into your food. Ewww. The other day went to visit a friend and wanted a tea. She produced a electric kettle made from plastic. I couldn’t drink boiled water from that. Ewww. Re think putting plastic in your microwave. 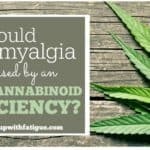 Anyway my daughter almost 18 has had juvenile fibro. She doesn’t want meds. Looking forward forward for medical Marijuana in Canada. The plastic doesn’t touch the food at all. It’s a plastic dome that’s placed over the plate/bowl containing the food – it’s just there to catch the splatter. We use glass containers for our food. Hope your daughter finds relief w/ MM. I’m in the process of applying for my license here in Delaware. 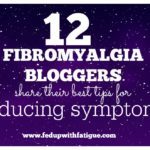 These are definitely must-do’s when battling fibromyalgia! Even if one follows just three of the ways, it will make a significant difference. 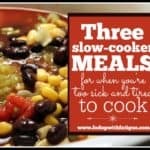 I love slow cooker meals because my pain levels are lower in the morning than in the evenings. If I can get my dinner basically done prior to breakfast, it is going to be a better evening regardless of what unexpected things come up. 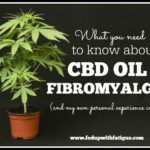 Thank you for sharing at Chronic Friday Linkup! I pinned this to the linkup board. I’m in love w/ my slow cooker, too. It is one of the best things that I own. Thank you for sharing my link! I use an OXO hand pump salad spinner to dry leafy greens (so it does not water down the dressing) and I keep the salad spinner in the fridge with salad in it so I always have salad at my fingertips. I just replenish a bunch as needed and the salad stays fresh for many days. I also cook from my rolling office chair…without it, my love of cooking would have gone away like so many others things due to fibromyalgia. Thanks, Katie! Hope you can find them! I enjoy your blog! I love your posts n emails!😃💜 I find them very helpful.